I've started a new series with new episodes coming out every couple of weeks or so. The series included my music, animation and comedy. I've taken my inspiration from artists such as Soupy Sales, Monty Python, Terry Gilliam, Groucho Marx, George Carlin and other slightly off center personalities. Each episode runs around 10 minutes and is packed full of mayhem and zany antics. Start off your day with a smile. Maybe even a guffaw. And if you SUBSCRIBE and click the gray bell thingy, you'll get notified every time I upload another episode. "F*******in' BRILLIANT!!! Best show on YouTube... PERIOD!" "I am already addicted!!!! I can't wait for the next episode!" "I AM SO GLAD I FOUND YOUR WORK... DON'T STOP.... EVER.... LOVE FROM AUSTRALIA." "You totally made my day. Just what I needed some uplifting creativity. Good on you Uncle Neal!!" "You are a straight up loon, but I clicked the like button and subscribed." "Brilliant stuff, Neal!!! Can't wait to see more!!! Oh, BTW... What would it have cost to get your "Willy waxed," anyway?? Asking for a friend... ;^)"
Click HERE to start from Episode 1. 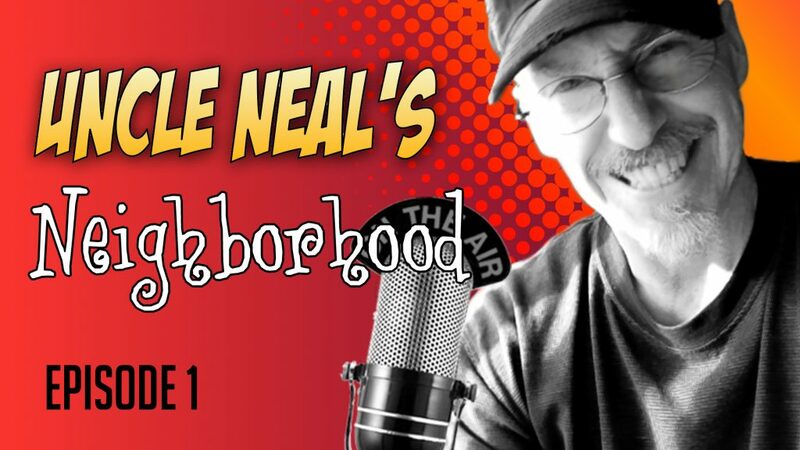 Also starting an Uncle Neal's Neighborhood Podcast.